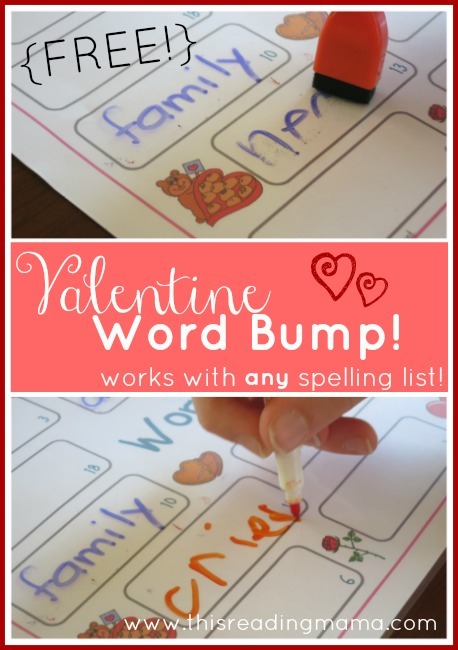 This Reading Mama has created a free Valentine spelling word bump game that works with any spelling list! Thank you so much for your spelling games. Our grandson just love playing your games.